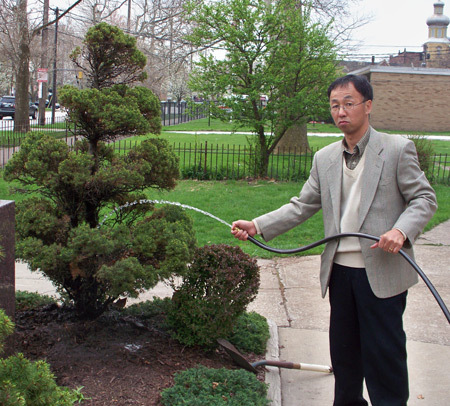 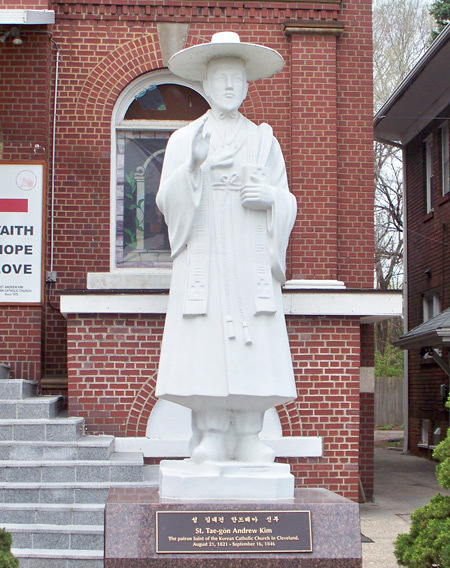 Where is this statue of Andrew Kim? 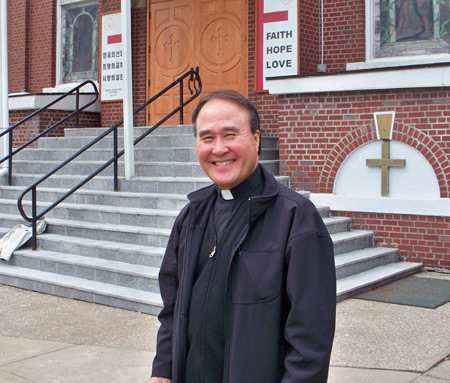 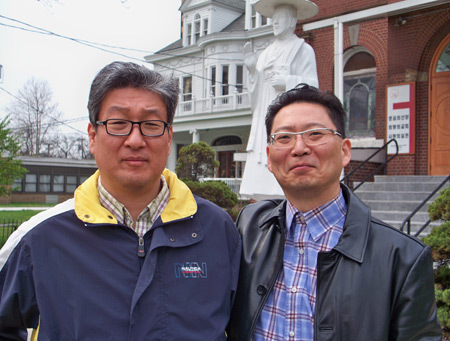 On May 6, 1984, Pope John Paul II canonized Andrew Kim Taegon along with 103 other Korean Martyrs, including Paul Chong Hasang, during his trip to Korea. 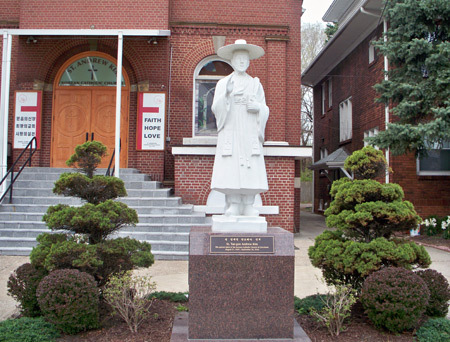 Their memorial is September 20. 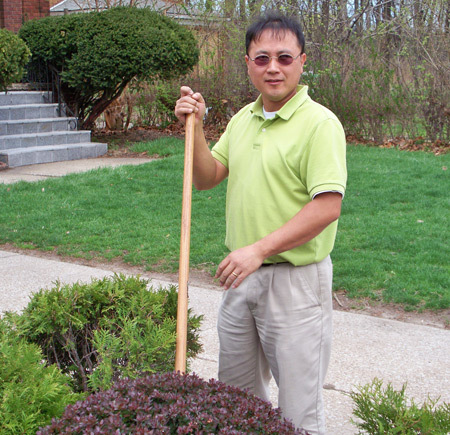 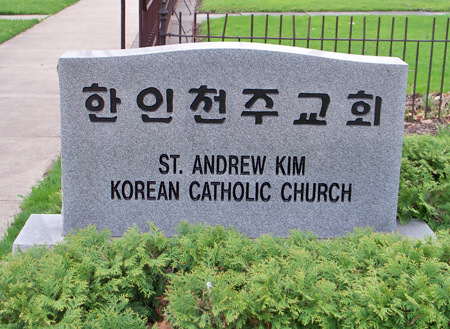 St. Andrew Kim Korean Catholic Church is located on West 14th St. in the Tremont neighborhood of Cleveland.